Nadakacheri is a Karnataka Government portal used to issue the income and other certificates like Marriage Certificate, Caste Certificates (SC/ST), Widow Certificates and OBC Certificates issued through the Atalji Janasnehi Kendra’s Act 1990. Caste Certificates valid throughout life time where as Income Certificates valid only for 5 years. This service Atalji Janasnehi Kendra provides facility for availing different certificates through Revenue Department, Karnataka and maintained by NIC. Karnataka citizens can avail following services like Caste, Income, SC/ST, Marriage, Re-Marriage, Residence, Origin, Agricultural, Labour, Land Holding, No Govt.Job, Unemployment and OBC Certificates with nominal charges. Each service has stipulated time lines to issue the certificate from Atalji Janasnehi Kendra Nadakacheri. 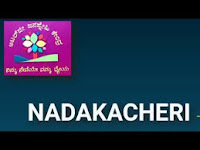 You are responsible for maintaining confidentiality of your account id and password details for all activities through nadakacheri portal. Family Tree (if no documents available) details. School Certificate details if studied.